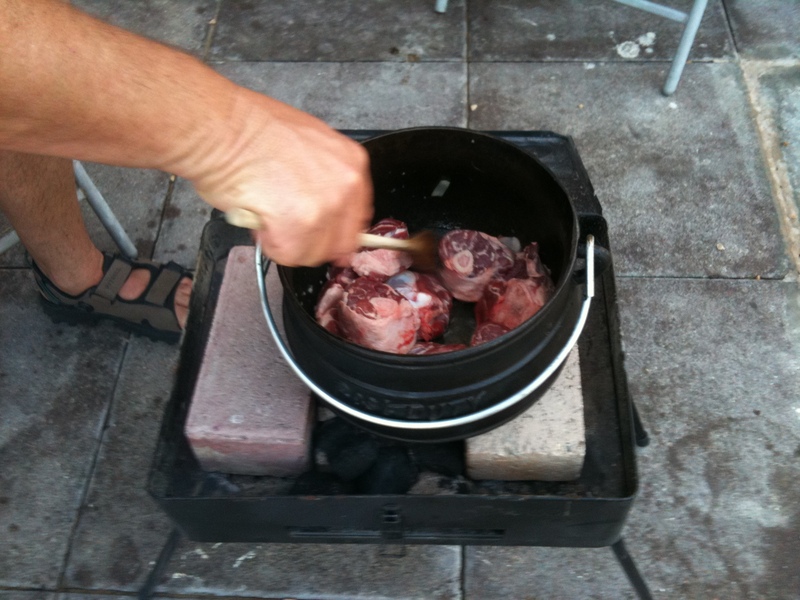 Lamb Shank(jie) Recipe in 10 easy steps | What a Potjie! 3. Heat up oil and then place onions and garlic into hot oil. 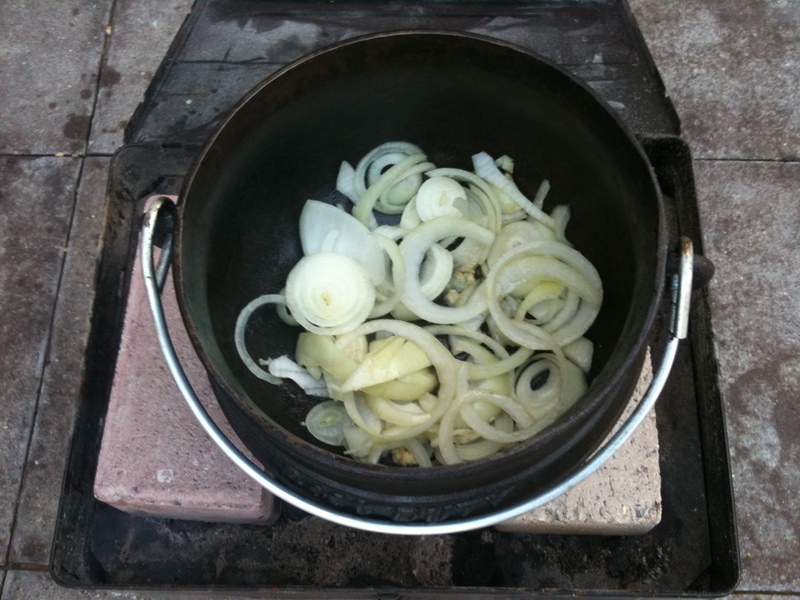 Cook for about 10 minutes until onions starting to brown and then remove from pot. 4. 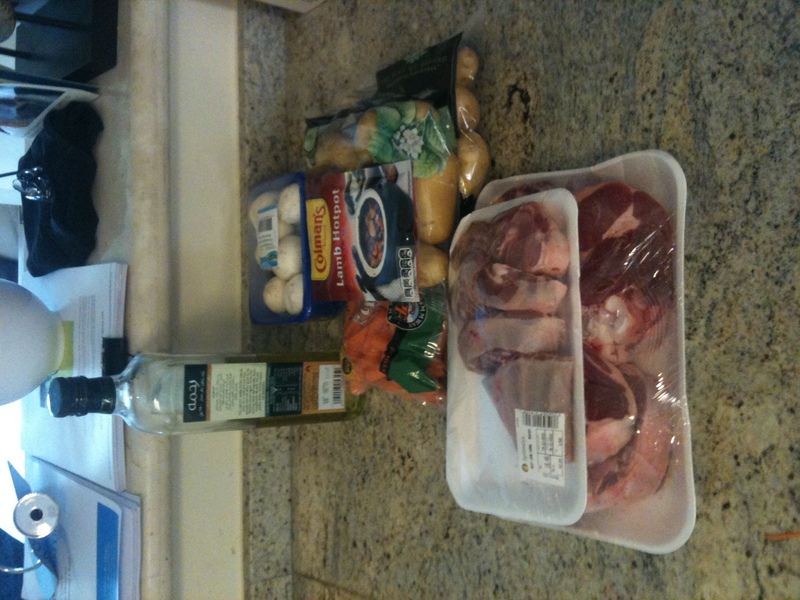 Add oil, Add Lamb shanks, Brown them for 10 minutes. Add Cup Red Wine and cook with lid on for about 20 minutes. 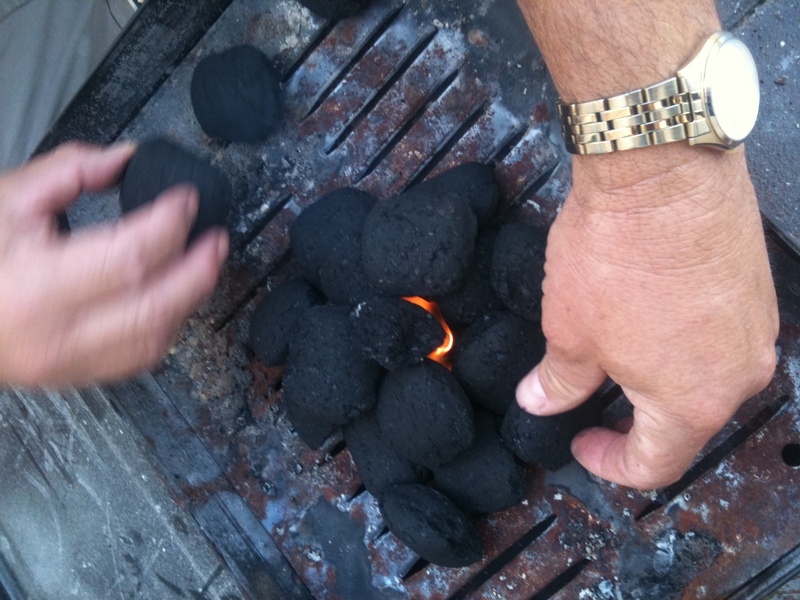 Then add cup of water asnd cook for an additional hour and a half until meat is tender. 5. 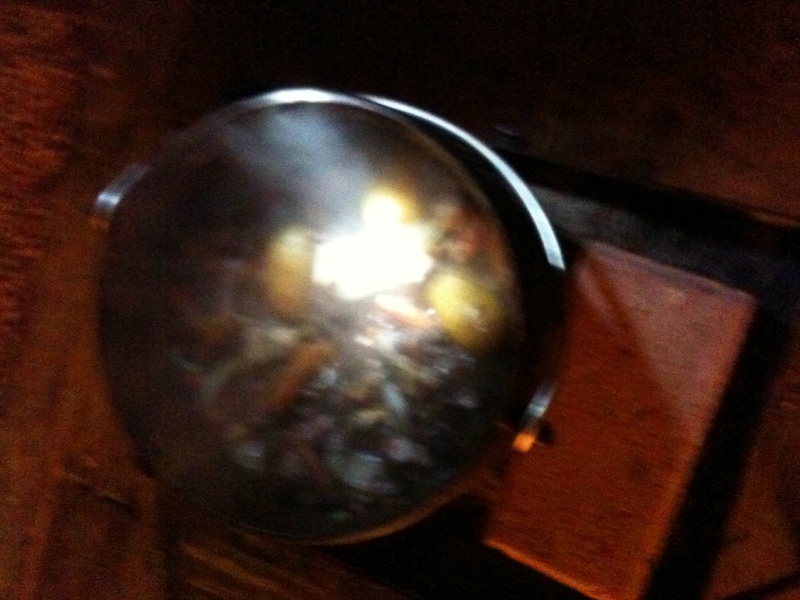 Add carrots followed by potatoes. Add salt and pepper and simmer for 30-35 minutes with lid on. 7. 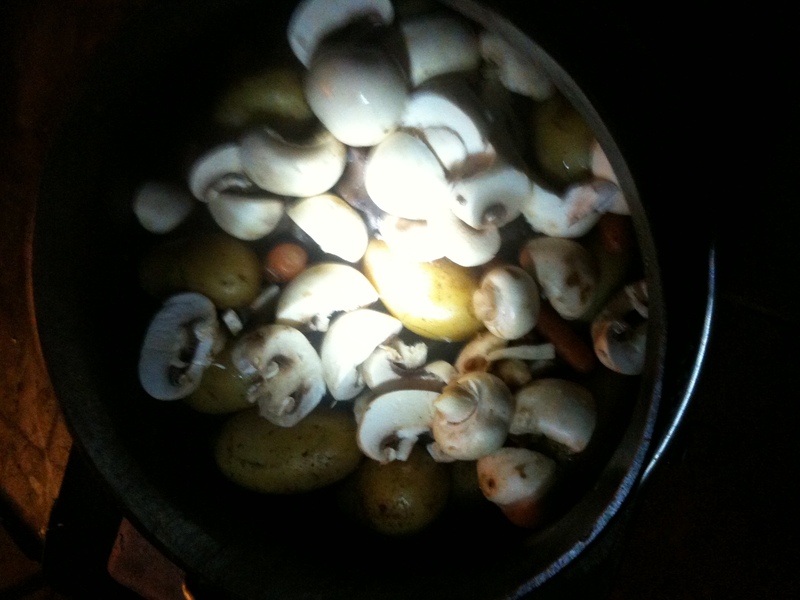 Add packet mushrooms followed by gravy powder and just let it lie on top of Potjie mixture. Put lid back on and simmer for about 15 minutes. 8. At this time get the Basmati rice going, eating time is near! 9. 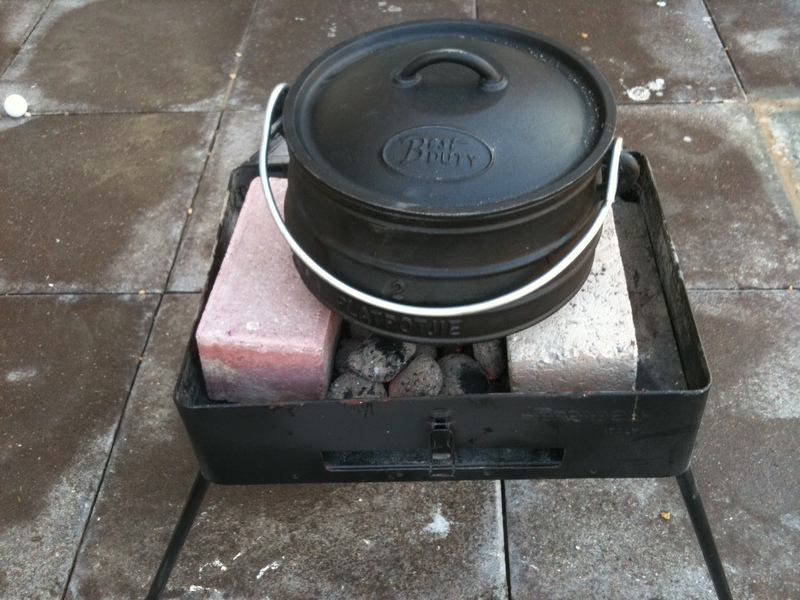 After 15 minutes, give the Potjie a good stir to get all those flavours working together. 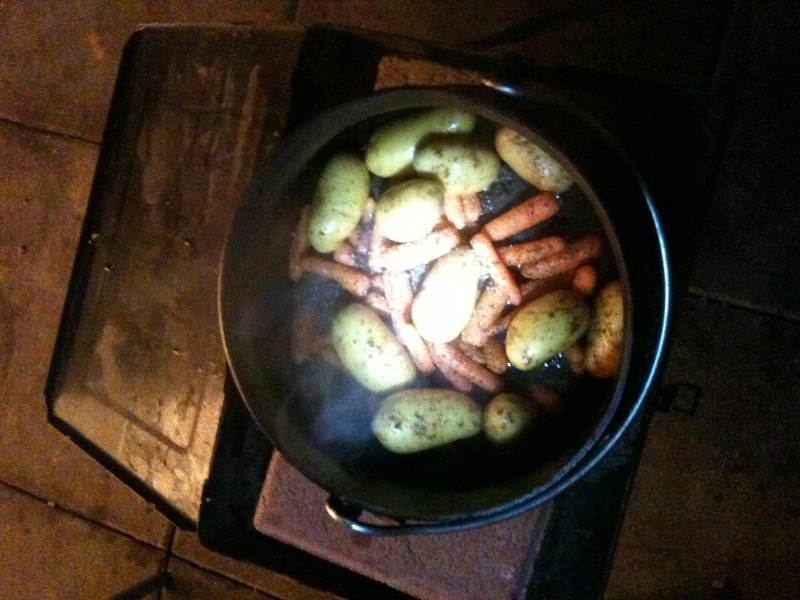 Some Potjie chefs may disagree with the stir but Oom Piet swears by the final stir! 10. And there you have it, an absolutely delicious Lamb Shank(jie). Give it a go and let us know your thoughts and learnings. 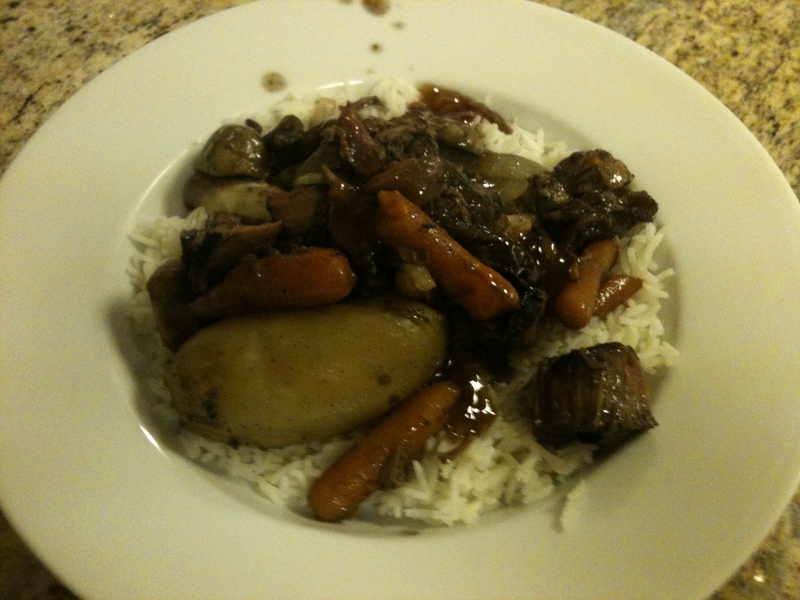 As any Potjie chef will tell you there is no right or wrong recipe but for us “Engelsman” we need some guidance!